Bend it, shape it, any way you want it – with apologies to the 60s group The American Breed, who would be an excellent choice when Movable Power television commercials are made. 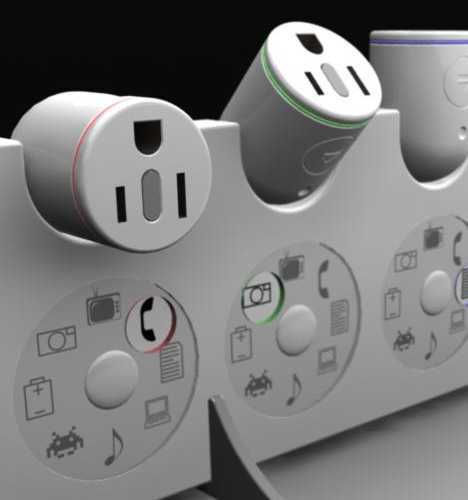 Carter’s design is certainly flexible enough, though it’s hard to conceive of a furniture layout that would require a power strip formed into an “S” shape… perhaps a crowded college dorm room or a bachelor pad at the Robot Arms. Unless you’ve been traumatized by watching the Alien flicks, you’ll love the PowerSquid. 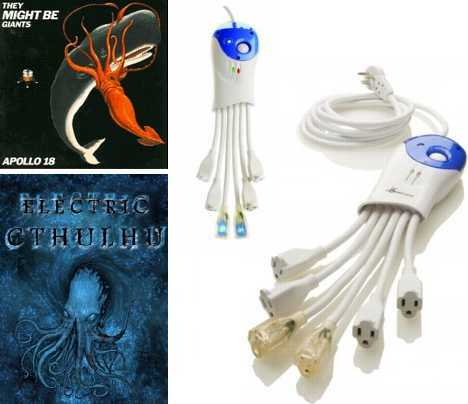 A power strip that thinks outside the bar, the flagship model Surge3000 Calamari Edition boasts an innovative design as well as an awesome name… though “Electric Cthulhu” comes a close second. You say you’re a Cairo-maniac wanting to add a little pyramid power to your pharaonic pad? 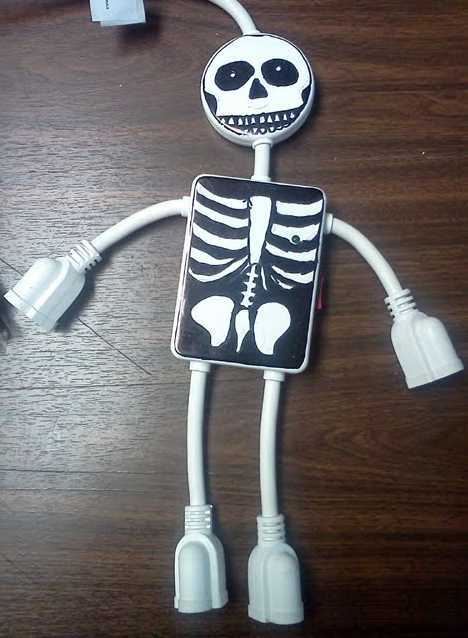 Don’t call for mummy; get yourself a few Powramid E-900 series surge protector power strips! 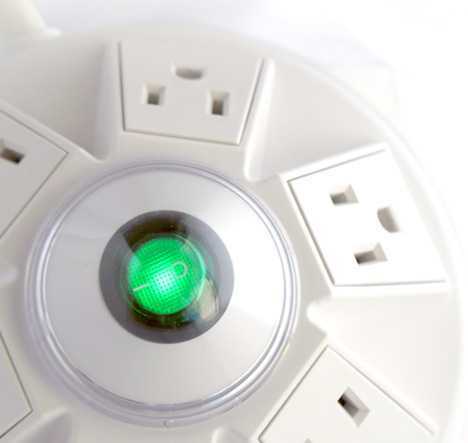 Kreative Power designed the E-900 series with 6 widely-spaced outlets, an illuminated ON/OFF switch, a safety switch cover and a low-profile AC plug. The wide, rounded base adds stability – how often does YOUR power bar tip over on its side? 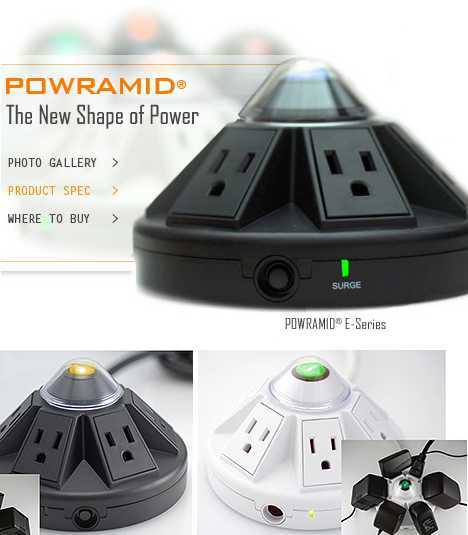 The Powramid E-900 series consists of four models: E-900H, E-900S, E-900L, and the E900S311-C1. The latter is a limited edition model that comes in green or pink as opposed to the usual black or white… hey, they had me at “limited edition”. Dontcha just hate having to remove one plug from a loaded-up power strip hidden waaay behind the sofa or whatever, and you yank on the cord hoping the plug pops out, and it doesn’t, and you end up yanking the whole bar and causing mass mayhem? Yep, me too, but Korean designer Soon Mo Kang actually went out and addressed the problem instead of whining and moaning. His solution? 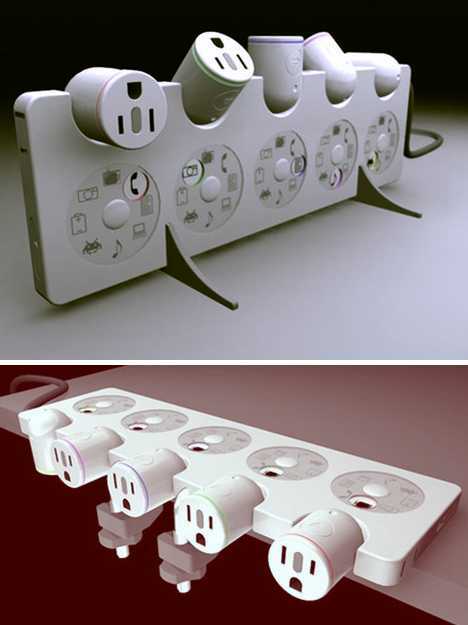 The Multi-Tab Power Strip. If slim, thin & stealthy power bars are your “goal”, then the E-Ball Multiplug Connector from Mashallah Design won’t score any bonus points. 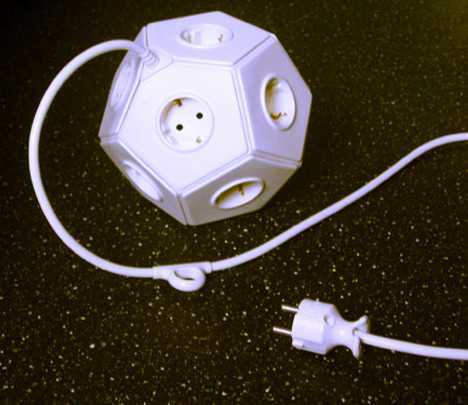 On the other hand, it’s easy to get a kick out of this 12-outlet paragon of polygons… but don’t kick it, OK? 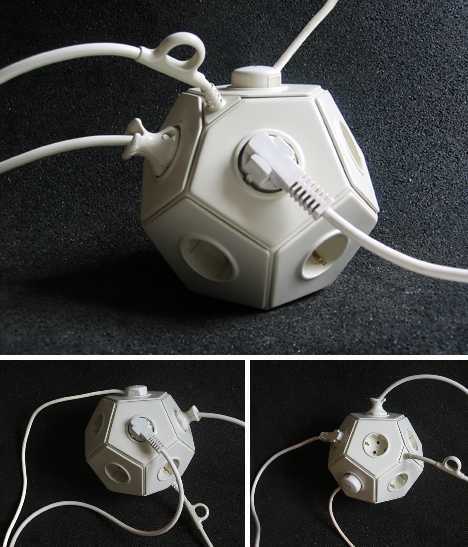 This odd “powerball” may be a winning concept but for the time being, a concept is all it is: Mashallah Design hasn’t cashed in the way they would if the E-Ball Multiplug Connector could be bought at Wal-Mart. Then again, this really isn’t a typical Wal-Mart design, now is it? 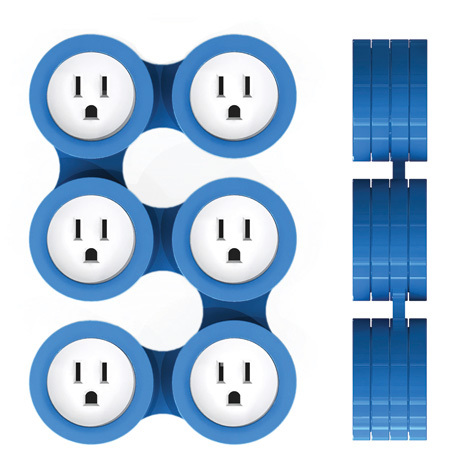 Here’s a quick advertorial video showing off the Pivot Power Power Strip… is that redundant? 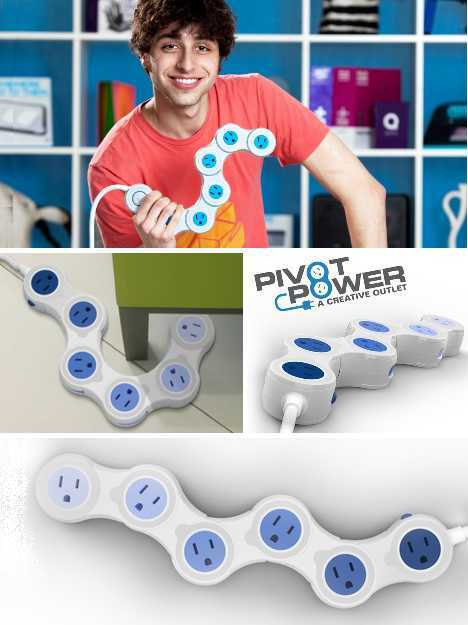 The Pivot Power Flexible Power Strip is no one-trick pony, either. 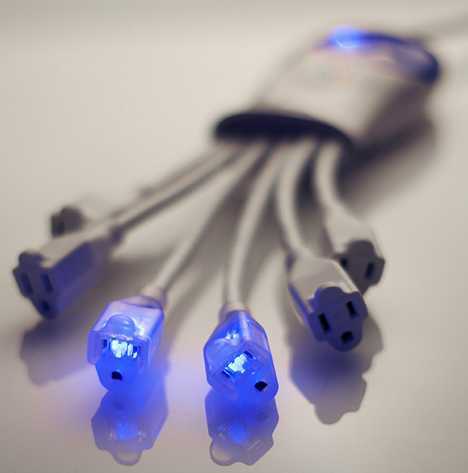 It’s opposite end terminates in a flathead plug ideal for use behind file cabinets, desks, bookcases and the like. 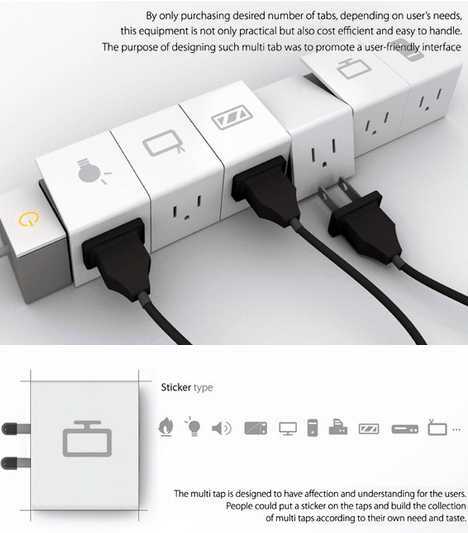 Since most rooms contain furniture, why shouldn’t your power bar be designed to work with reality? 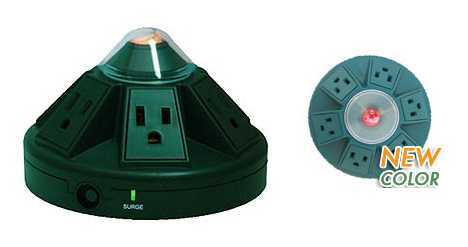 Some guys love their ElectroMan Surge Protector, others, well, maybe “love” isn’t quite the word… not that there’s anything wrong with that. 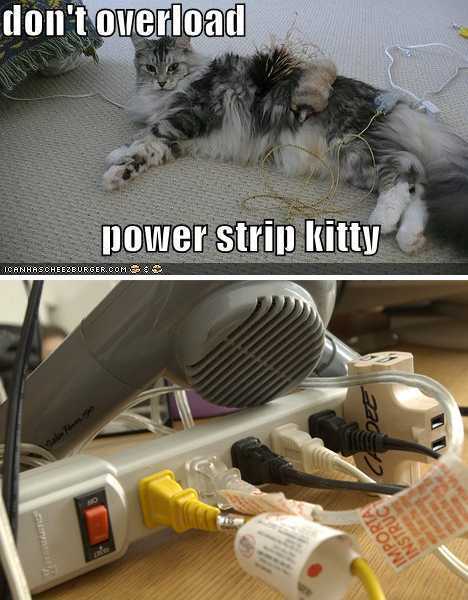 Looking to add some “manpower” to your in-house electric grid? 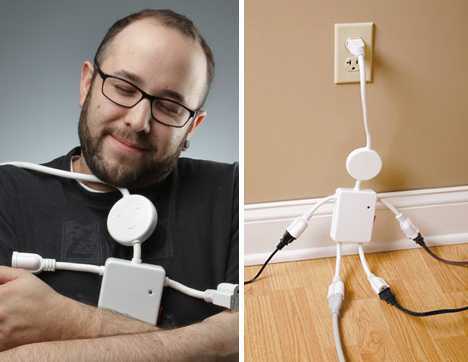 Look no further than this charmingly articulated power distributing dude who comes in black or white… just like us! 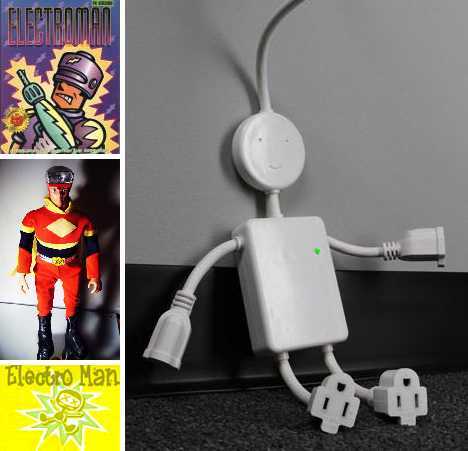 ElectroMan may sound like some sort of superhero (and expect Hollywood to conduct a screenplay search any day now) but he’s really a friendly li’l feller. Check out that mild smile and the indicator light positioned right over his heart… awww! Of course, cute doesn’t cut it with some folks who might wonder how ElectroMan can tolerate constant high voltage streams passing through his body. In the mod above, the modder assumes he can’t. 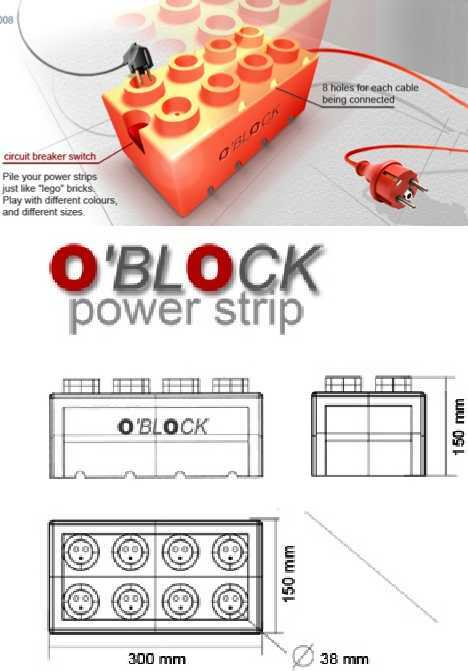 The Lego O’Block is from France, which is notable in and of itself – a French high-tech component, sacre bleu! Get past its Gallic charm and you’ve got what appears to be an oversized, radioactive LEGO brick. 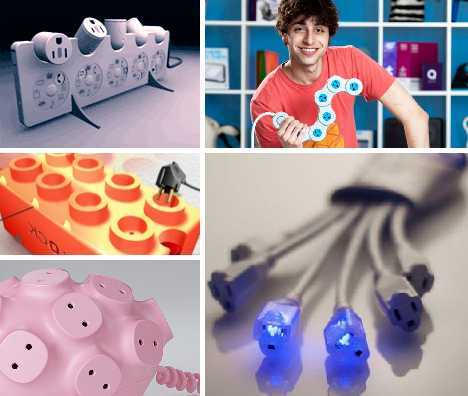 I don’t know about you, but THAT’s the thing I want to plug all my personal electronics into! 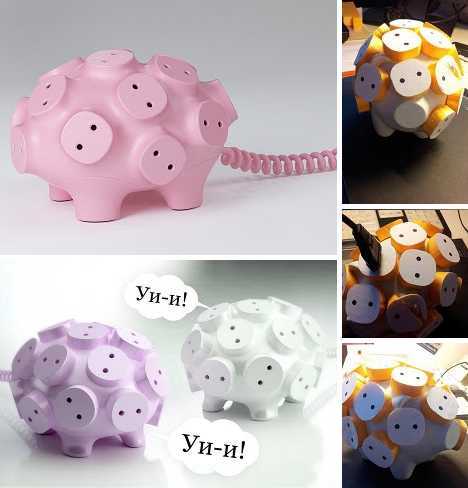 If you’re going to design a radical power strip, why not go hog wild? 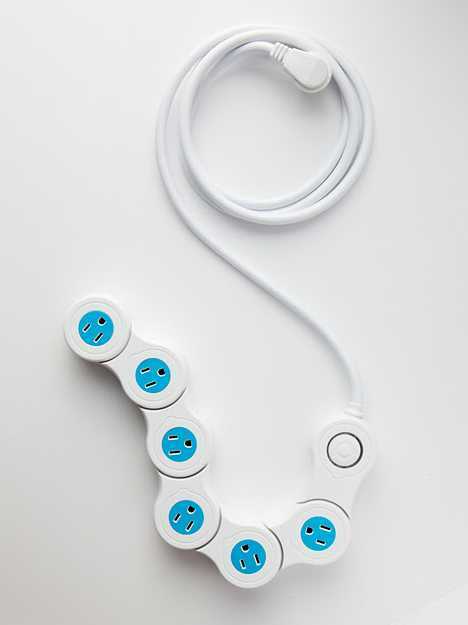 Russian artist and designer Artemy Lebedev did exactly that with the bizarre 17-snouted Power Strip Svintus. 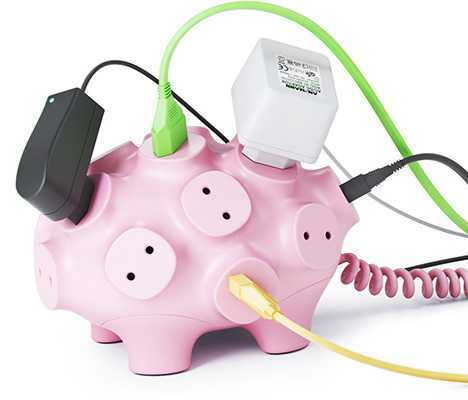 In some dark and disturbing future we may actually have living, breathing power-strip pigs but until that far-off day arrives, content yourself with the Power Strip Svintus. Check out the Art Lebedev website to view a neat image-fest documenting “the making of” Svintus… and be aware that no actual pigs were harmed in the process. 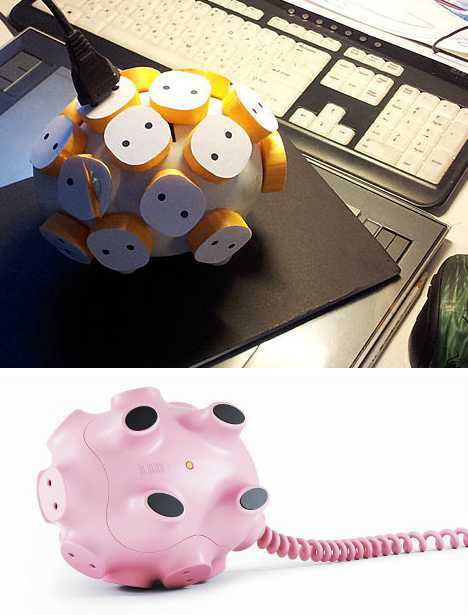 Appearances aside, the Power Strip Svintus is no power hog. I’m not sure what that even means but it had to said anyway. What it IS, is the kind of device that’ll impress your GF (“Oh, it’s sooo cute!”) and your buds (“Dude, is that thing genetically engineered? 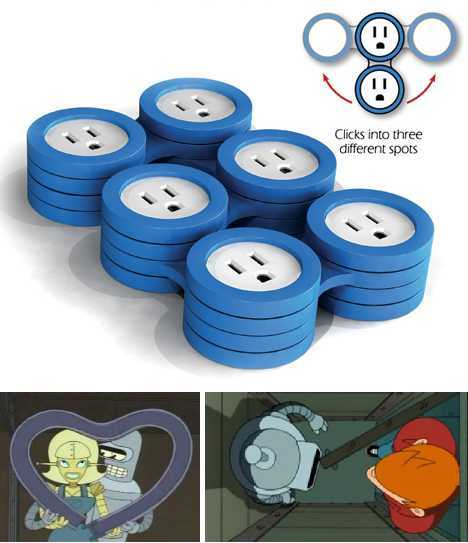 ?”) You want it… I know it, you know it, and doubtless the Power Strip Svintus knows it. 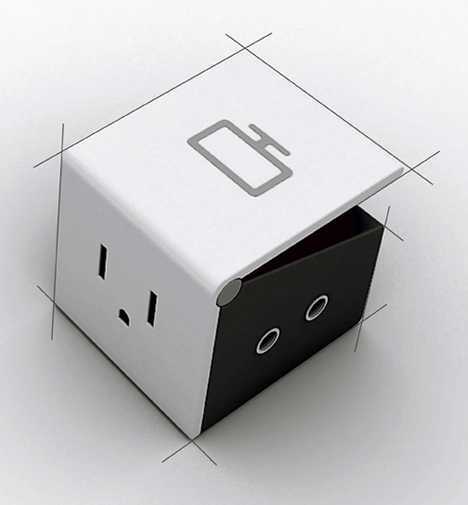 You might think power strips and surge protectors (not to mention power strip surge protectors) are basic, blase, utilitarian household appliances writ small, and you’d be wrong. Why put up with dull design when your essential everyday electronics are literally on the line? Why indeed… and as can be seen above, the answer is you no longer have to.